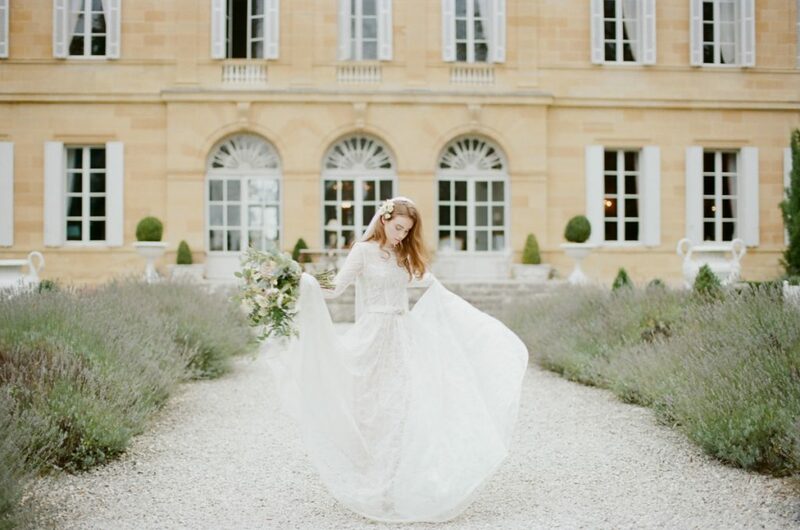 I am so excited to share a little taster of the stunning editorial shoot I was a part of at Chateau La Durantie earlier this month, styled by the lovely Helaina Storey Wedding Design, the chateau’s dedicated wedding planner. Chateau La Durantie was one of the venues that I was most excited about photographing here in France, and it was every bit as beautiful as I dreamed it would be, if not more. We had an absolute dream team to work with, and with two gorgeous models, four divine dresses, and the beautiful chateau; the only problem was having too much pretty to play with in one short day! Can’t wait to share more soon!